Exhibits are held at our home gallery Jaycee Park Center for the Arts, and also at Irving Arts Center and the West Irving Library. We also offer opportunities at alternative gallery spaces through our Corporate Art Appreciation Program (CAAP) at Irving businesses (see below). Gallery hours: Sun., Wed.-Fri.. 1-5pm and Tues. 10:30-3:00 pm. Closed Mon. & Sat and City Holidays. Contact iaaexhibits@gmail.com to reserve space. 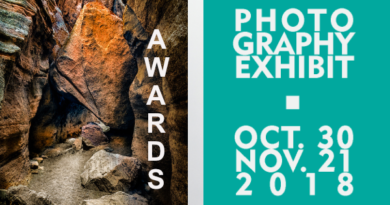 The Annual Animal Art Awards Exhibit (combing the Annual Unconditional Love – Juried Pet Art Show and the Annual Wildlife Juried Art Competition) open to all, held in September. The Annual IAA Members Winter Art Show, a non-juried show open to all IAA members, usually held in December. (not restricted to holiday themes). Artist of the Month: A free competition open to all IAA members. Bring your paintings to the meetings September through April. Winners will be displayed at the Center for a month and receive ribbons and prizes (usually Asel Art gift certificates). The annual Texas & Neighbors Regional Art Competition, held in May & June, which draws from neighboring states also. Official website: TexasandNeighbors.com. Cosponsored by the Irving Arts Center. The annual IAA Members Winners exhibit, held in June or July, displaying winners from IAA’s annual juried members show, plus the challenge theme entries. The Annual Animal Art Traveling Exhibit, held in October and November. Corporate Art Appreciation Program (CAAP): CAAP program gives its member artists a unique opportunity to display their work in Irving. Venues include hospitals, libraries, retirement homes, and other local businesses and institutions. Interested artists can contact CAAP Chair Frankie Sieloff Couch at 972-255-3468 or franki1930@aol.com or caap@irvingartassociation.org. For links to other art exhibits in Irving, see the Art Around Irving page.